Columbian Ground Squirrels aren’t the only early visitors that show up to mark the start of Spring. 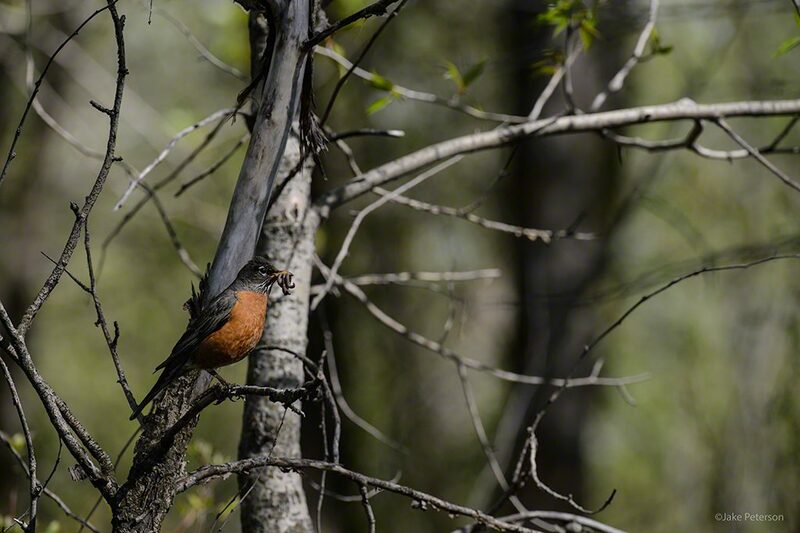 While the American Robin normally doesn’t go away in the winter, they just become harder to see roosting in the trees, come the beginning of Spring they tend to be everywhere. The Robin has become the quintessential harbinger of Spring in most places. They can brood up to three clutches throughout the year and considered a favorite among local birds of prey. How do you get better Photographing critters? This seems to be a popular topic and it’s one that I think about often. In reality there is a pretty obvious answer that always seems to get missed. You got to keep going out and trying. That really is the trick with it. Doing homework and finding out where the critters will be increase your odds and then after that it’s just persistence. This American Robin was bringing in worms for it’s young. Now I didn’t get the best of shots but it’s a start and knowing where it’s nest is now, I can go back and keep working it. Keep in mind I wasn’t going for the portrait shot, this was handheld D4 and 200-400 VR. Persistence is our best friend in this business but beyond that being creative is your second best friend. Most wildlife photographers go for that portrait shot and that’s it, which is fine but it leaves a lot. Take a flock of White Pelicans moving through the area. 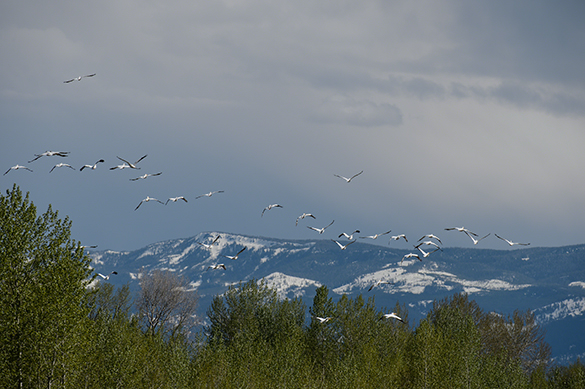 No portrait but a large flock going over Cottonwoods with snowy mountains in the background, that’s a great migratory habitat shot, which is just as important to get. Telling the story means covering as many aspects as possible in every photo and as wildlife photographer that’s what you got to do.